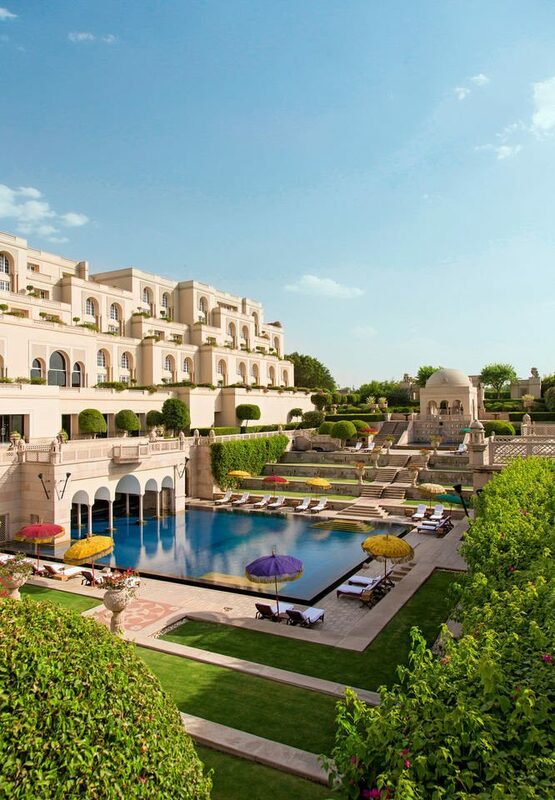 The Oberoi Amarvilas is the place for travelers who want to see the world’s most famous mausoleum from all sorts of angles, and to live (at least for a night or two) in a state of luxury fit for a Mughal emperor. 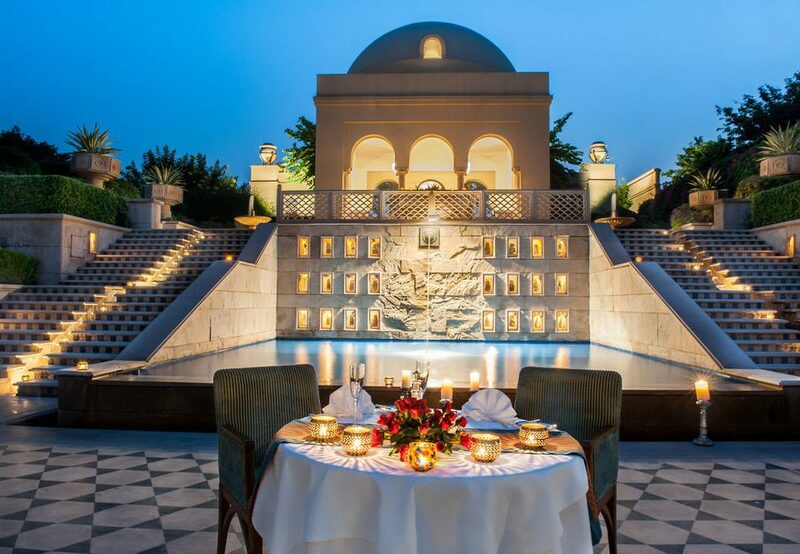 From the marble lobby to every elegant room, the world’s greatest tribute to undying love is always on show, and the resort’s splendid architecture and rich interiors are a throwback to a time when princesses were aplenty in Agra. 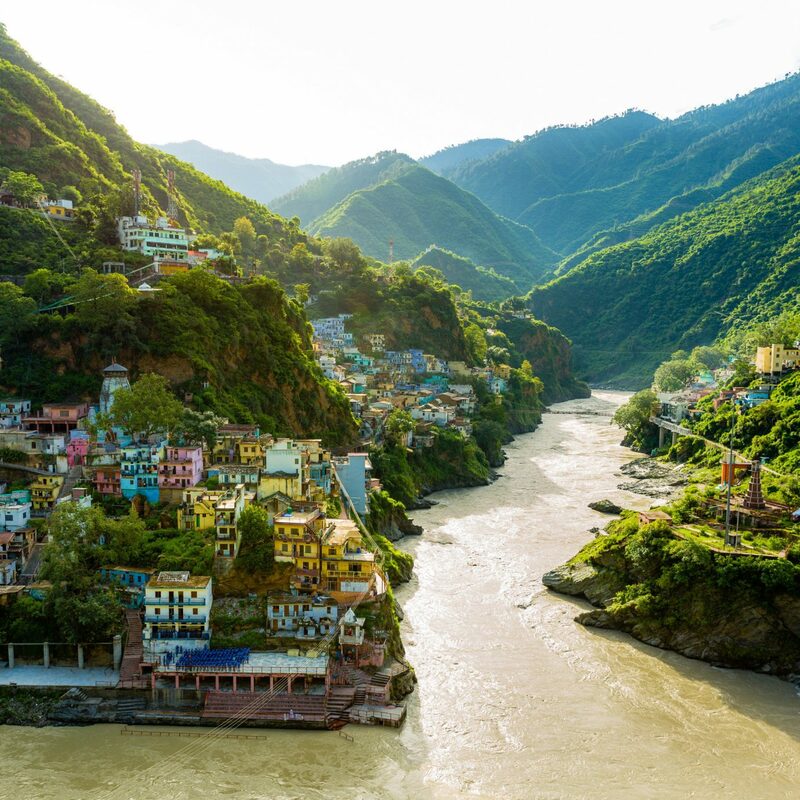 Just 600 meters away, it’s the closest hotel to the Taj, and it gives guests an exceptionally intimate encounter with the world wonder. 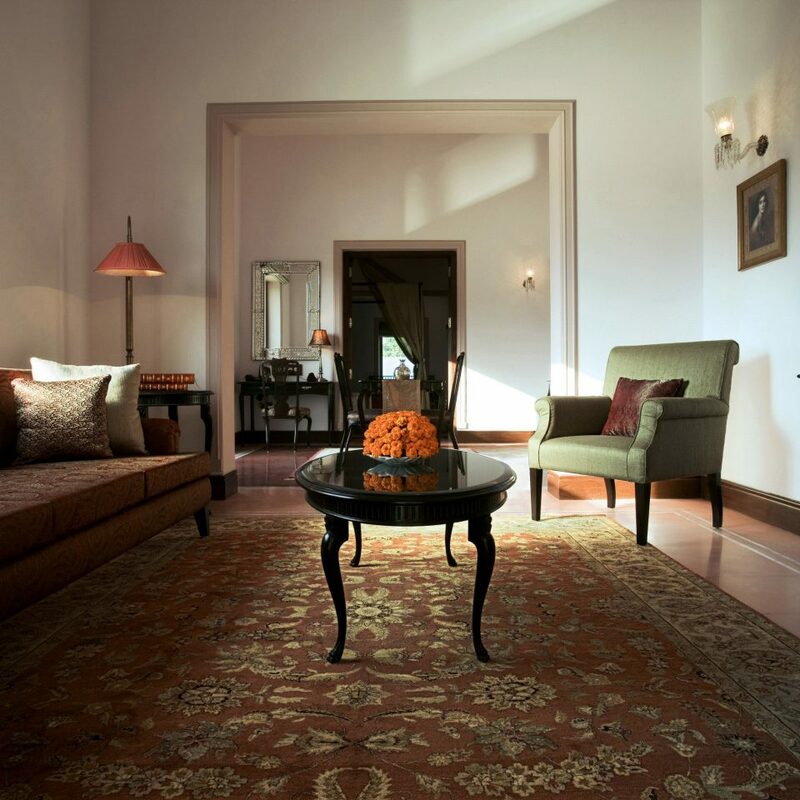 The 102 guestrooms echo the art and history of the Mughal Empire, with decorative marble inlay tables and hand-knotted carpets. 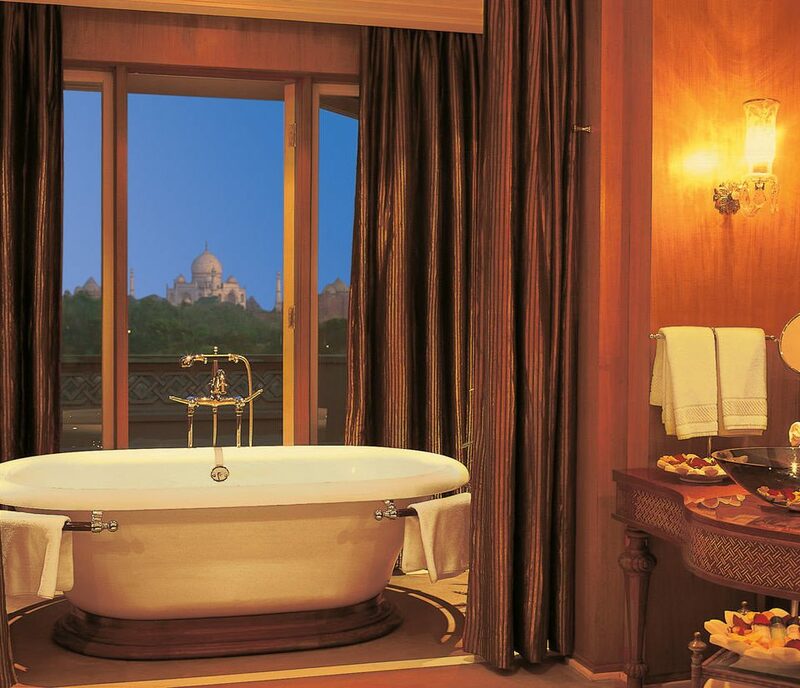 The interiors showcase meticulous traditional craftsmanship and attention to detail, but all eyes are drawn to the Taj, which can be seen from every room. 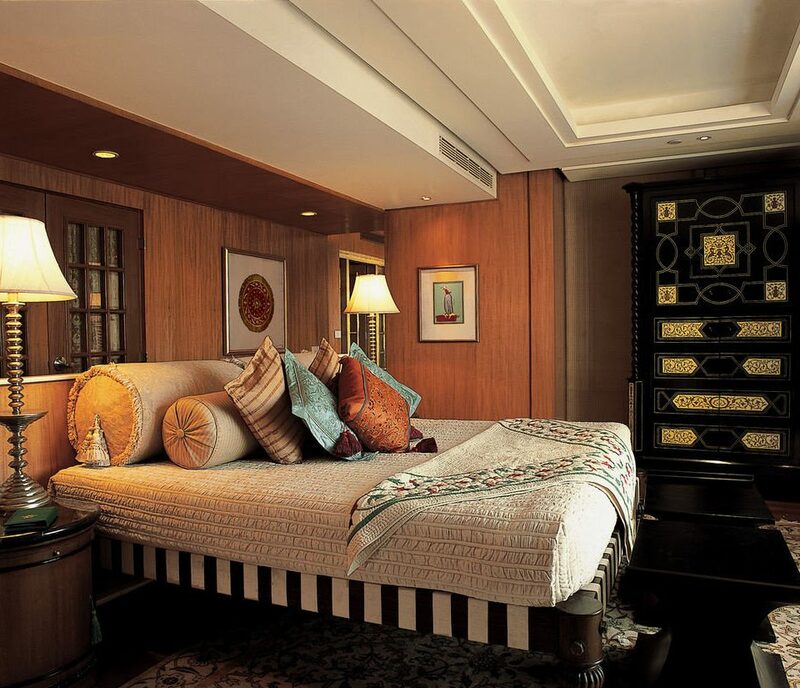 Mod cons including flat-screen TVs, DVD players and walk-in closets are standard, as is personalized butler service. 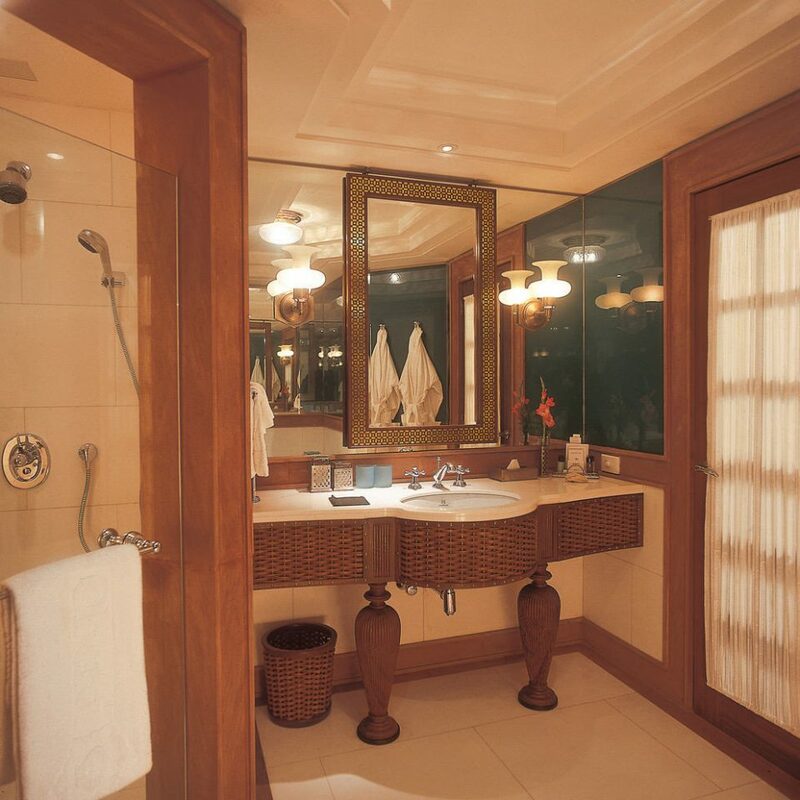 The spacious marble bathrooms are stocked with a basket of ayurvedic products. 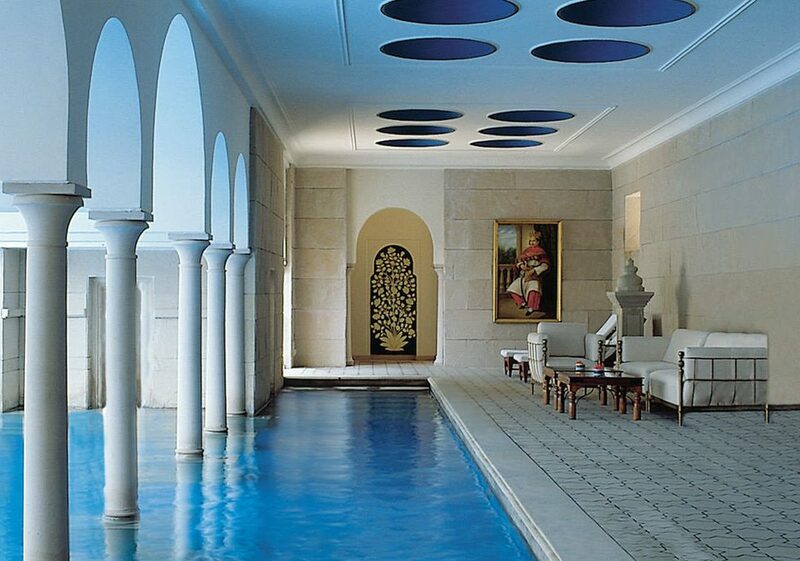 The pool and gardens embody the same sublime aesthetic found in the grounds and fountains of the Taj. 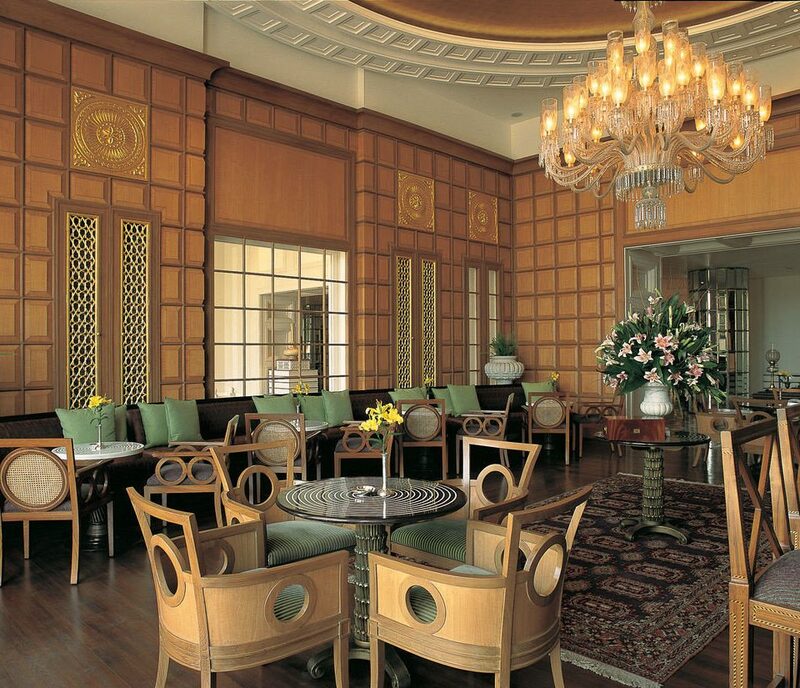 The lone traces of contemporary design are in the restaurants: Bellevue, which serves a breakfast buffet of dizzying variety, and Esphahan, where diners can try fine Indian food accompanied by live sitar and tabla performances. Before dinner enjoy a glass of champagne on the terrace bar at sunset as a dancer performs her nightly salute to the mausoleum from across the pool. 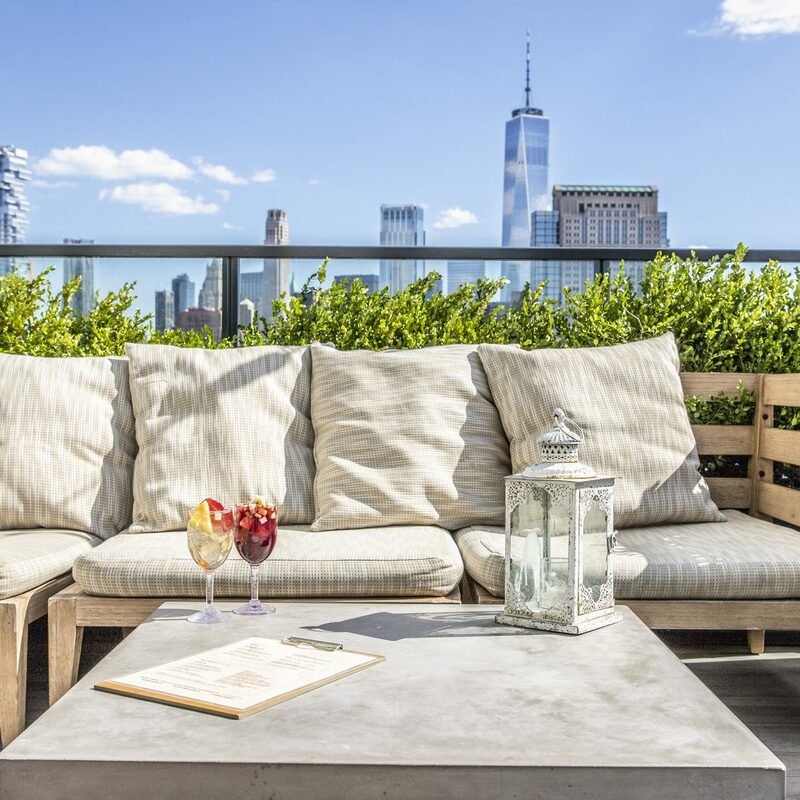 If the luxe accommodations don’t make you feel like royalty, the super-attentive staff surely will. You can count on it for expert tips about visiting the Taj, which vary depending on the season and the latest preservation regulations. The Archaeological Survey of India offers about five night tours of the Taj Mahal a month (around the full moon). Tickets are very limited, so book as far ahead as possible. Take the one-hour trip to Fatehpur Sikri; the onetime capital of the Mughal Empire was abandoned 14 years after its construction in the late 16th century, and it retains an air of mystery today. If you don’t want to haggle over the price of souvenirs, visit the Marble Emporium. You’ll spend a little more, but you won’t have to wonder if you’re paying for marble but getting soapstone. Agra Fort would be the signature monument in any other city, but it inevitably gets overshadowed by the Taj Mahal. 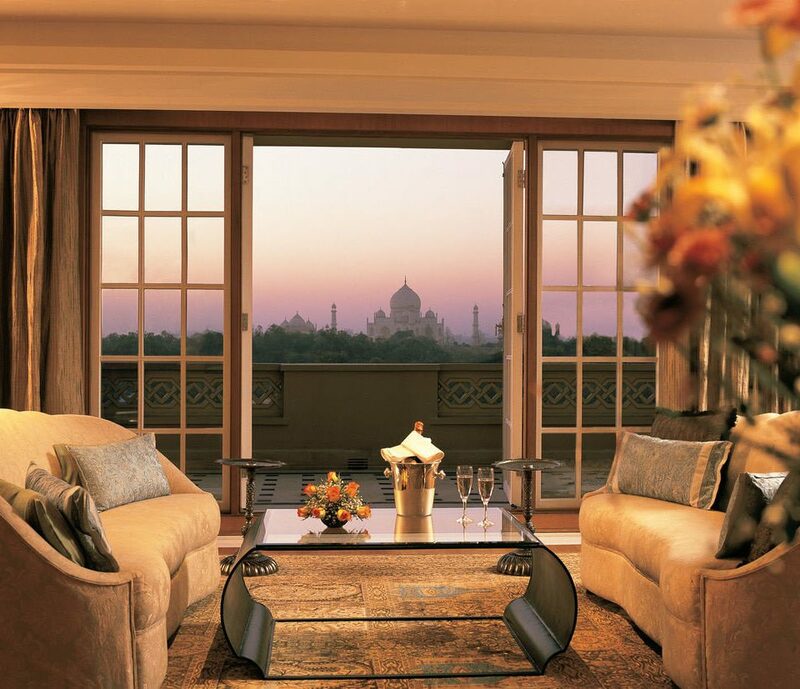 See where Shah Jahan, the creator of the Taj, lived and ruled. A nightly light and sound show takes place at 7:30 p.m.
Just walking in to this hotel is an experience. 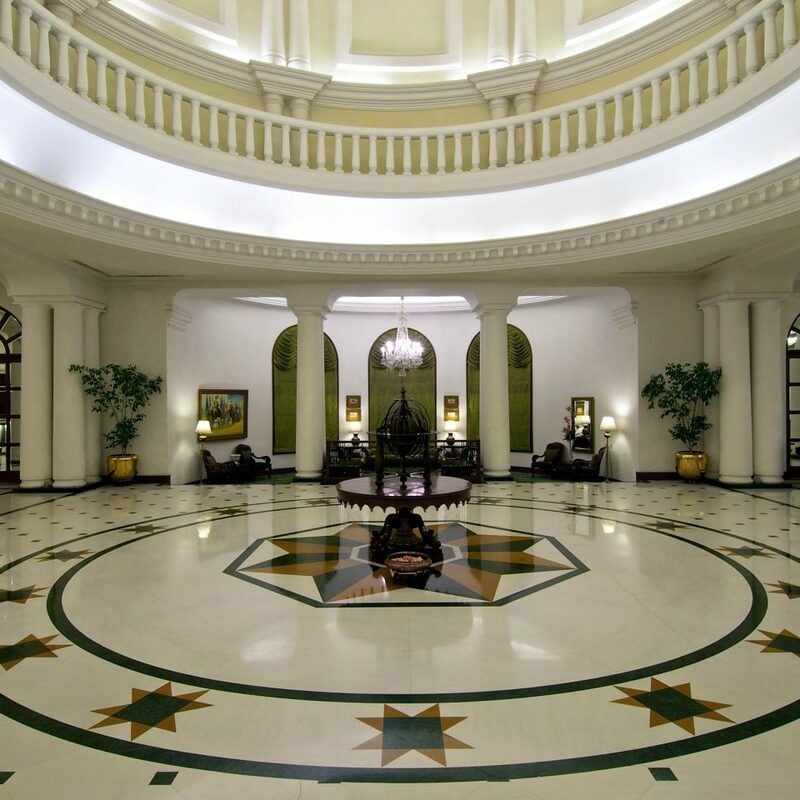 Firstly there is the enormous entrance hall and the huge number of stylishly dressed staff waiting to meet your every need. Then when you arrive in your spacious room you walk on to the balcony and have one of the most incredible views in the world. Being able to lie in bed and look at the Taj Mahal is an experience I will never forget. The hotel pool is incredible and the grounds are beautifully set out. Food in the main restaurant is good and the service superb. 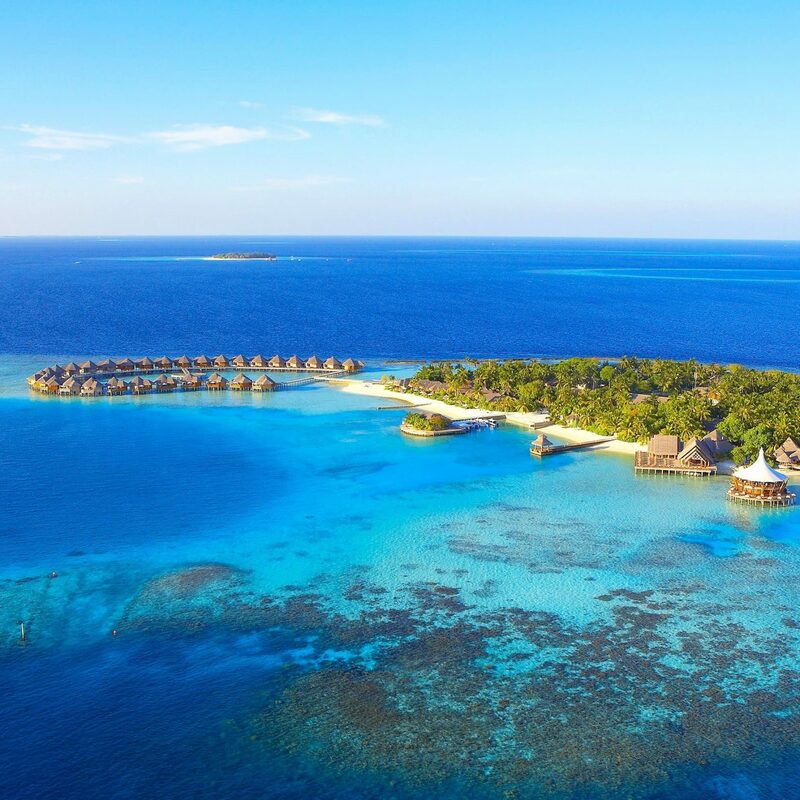 Yes, this is an expensive hotel but for a 'once in a lifetime' experience it is well worth paying the extra. 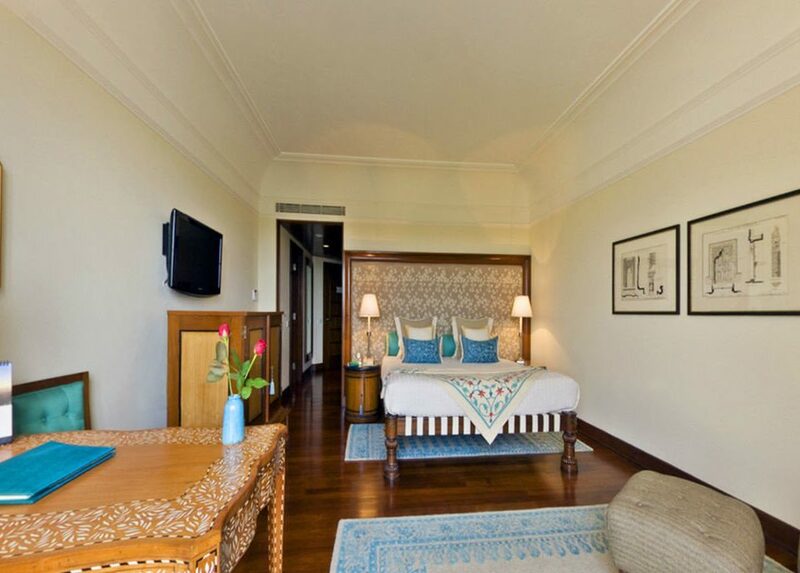 This is probably the best hotel in north India, great rooms complimented with the great personalised service. Staffs are very friendly and they will go out of the way to help and make your stay great. 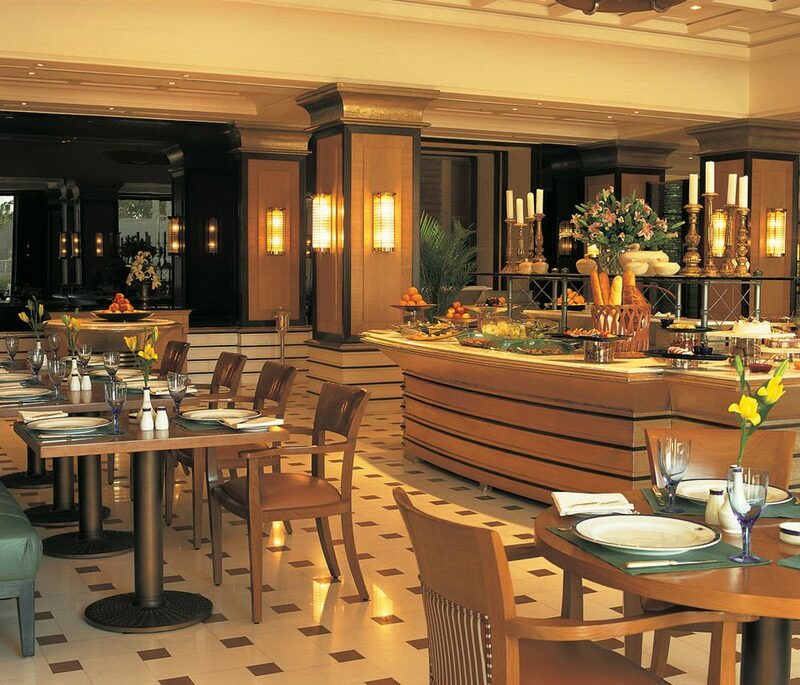 We felt that the food was average comparing other hotels in India again the service was top notch. Must visit place if your Pocket allows!! Stayed 3 nights at Amarvillas, extremely pleased. Concierge organised our 6 am trip to Taj Mahal, awesome... Took golf buggy there after light juice, coffee, pastries at bar cos restaurant was Not opened yet. Very nice rustic hotel with great architecture n views. Service was beyond 5 stars. 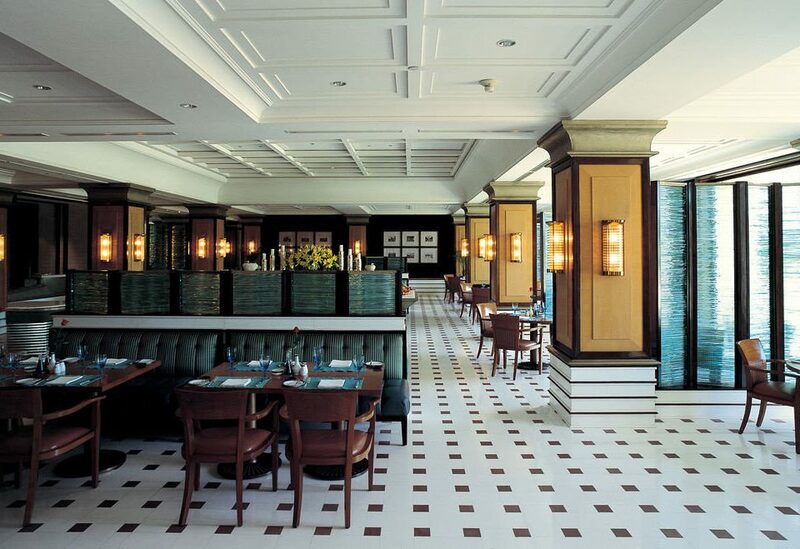 True blue Oberoi Culture n heartfelt service. Had b/fast, lunch in hotel which were very good, pampered by all the staff. Dinner at Espahan was of high standard too. Thoroughly enjoyed the biryani n Indian dishes. We also enjoyed our 2 hrs spa treatment as well. The therapists from Bhutan were very professional n competent. This hotel is one of the loveliest anywhere. 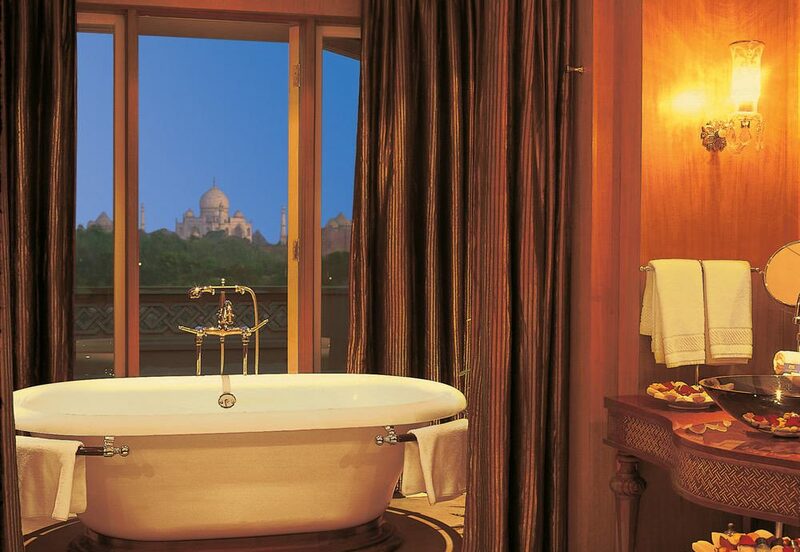 The fact that all rooms have a balcony with views of the Taj Mahal is just one of the fantastic aspects of the place. 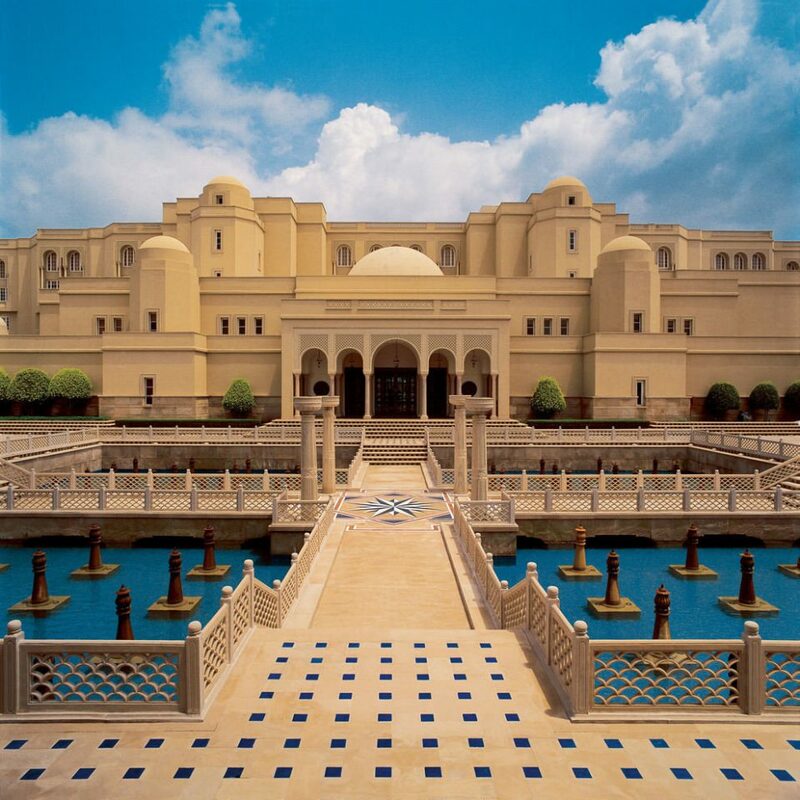 The moment you walk into the spectacular entrance past enormous fountains you know you are someplace special. 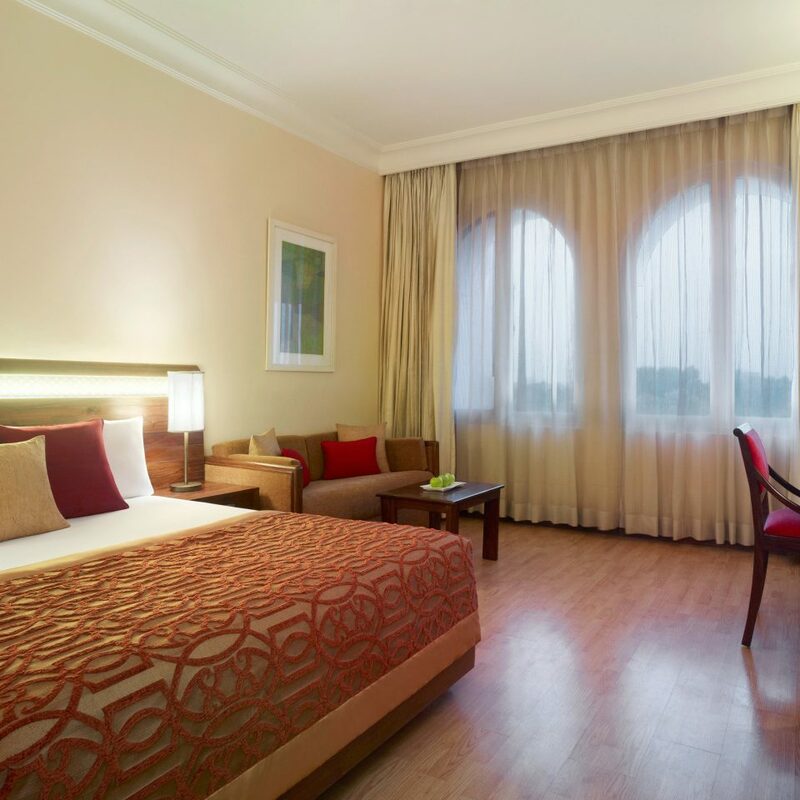 The rooms are large and beautifully decorated and the service is fantastic. The staff are all dressed in elaborate turbans, with huge smiles and quick to meet any needs. The dining room was amazing. We ate in the continental restaurant for dinner and every bite was delicious. We even were treated to a full tour of the kitchen after complimentary round of sorbet. We met ALL of the kitchen staff, who also had big welcoming smiles and seemed proud of their spotless and beautiful kitchen, complete with a separate space for chocolate preparation. Breakfast was a wonderful buffet and they then brought us an Indian specialty plate to make sure we tried local cuisine. It was amazing. There was a dance presentation around the pool before dinner and the grounds are completely over the top. The best part of all, beyond the service, rooms, flute player in the lobby, food, etc. 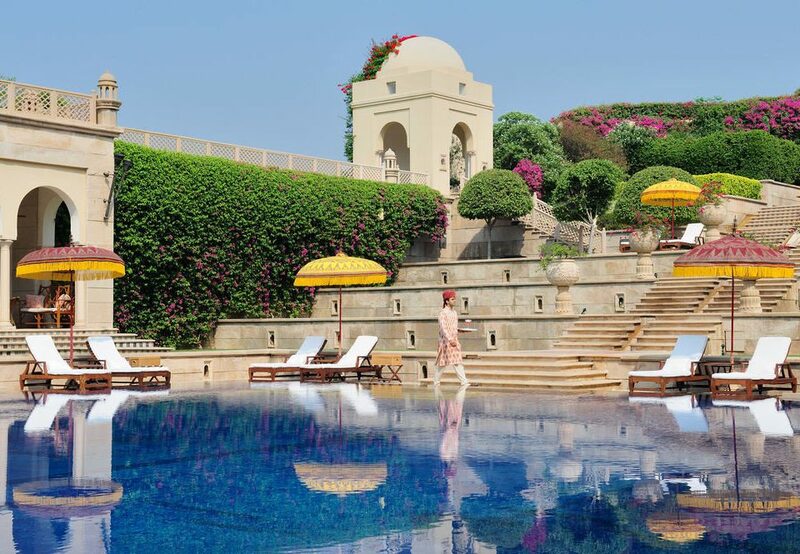 was the fact you can take the hotel golf cart to the entrance of the Taj, making it especially easy to visit both at sunset when it turns pink and at sunrise, when few tourists are present and you can witness the inlaid stone sparkling in the morning sun. We did not want to leave and wish we could have stayed longer. It is expensive and worth every penny.